However Chinese news ZOL (CBS Interactive) reported next iPad mini in AppleInsider's article, according to my inside source, iPad(5th) may be released in March, 2013. 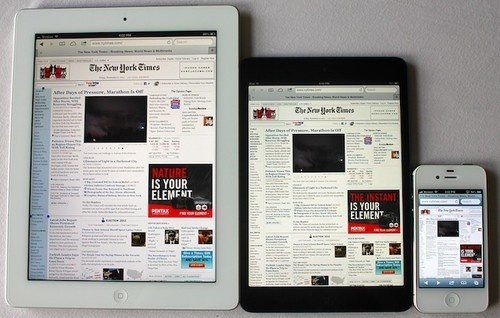 To convey a different article, trial production of iPad mini (2nd generation) has been started. LCD display is 7.9 inches, it (326ppi) 2048 x 1536 pixels, it seems that will be equipped with a A6X processor such as iPad (4th generation).